Scrutiny: Subhash Ghai unveils an online calender featuring Ali Fazal, Anushuman Jha & Varun Sharma..
Subhash Ghai unveils an online calender featuring Ali Fazal, Anushuman Jha & Varun Sharma..
Creative and talented photographer Sharvee Chaturvedi launched her unique 2015 calendar titled 'Bollywood Tomorrow' on Friday, 16th Jan 2015 at Copa in Juhu, Mumbai. After 6 years of her experimental journey and discovering her love for Bollywood, today she has passionately worked on the unique concept of photographing the stars of tomorrow through her calendar ‘ Bollywood Tomorrow ' with an underlying theme ‘ LIFE IN A DOT’. This calendar reflects her talent and passion through her images that are open to your interpretation. Popular actor, furniture designer and artist Lekha Washington's dot chair as valuable prop for the shoot. Sharvee handpicked 12 upcoming young male Bollywood actors who have established themselves with their first few films and are on their way up the ladder now. She has weaved a theme to showcase their Journey in Bollywood. Her theme for the Calendar is "Life In A Dot". 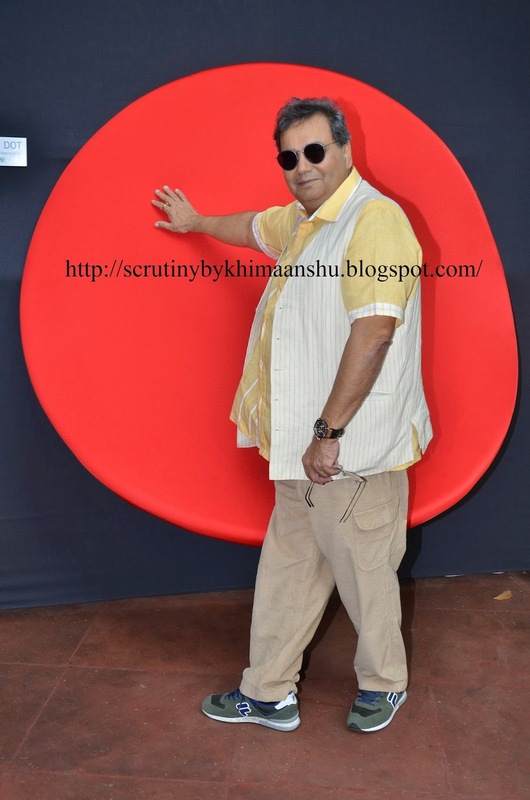 Filmmaker Subhash Ghai unveiled the calendar and spoke highly of Sharvee's talent. Guests were seen posing with the 'Dot' chair designed by actor Lekha Washington. The calendar also features actors Ali Fazal, Anushuman Jha , Gulshan Deviah, Varun Sharma and Dhruv Ganesh.